The indie rockers perform, relax and have some fun---while hitting up shows in Halifax and Yarmouth. 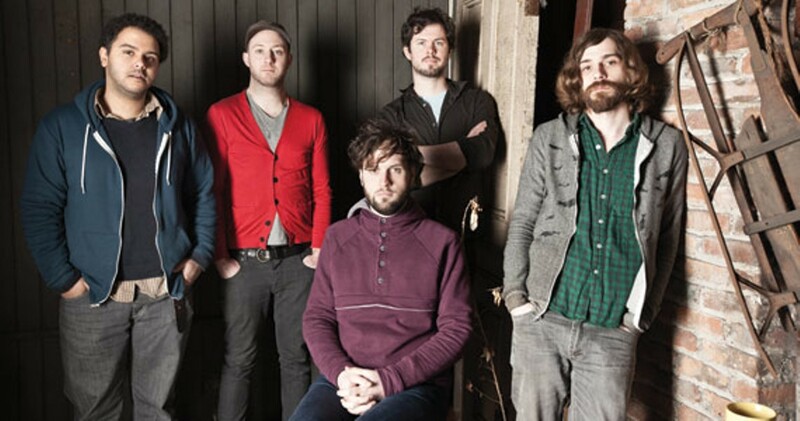 It's all about Canada this time for Wintersleep. The local-but-living-in-Montreal band was here just last May for a double set and returns Thursday as part of its cross-Canada tour---one that drummer Loel Campbell says has been a few years coming. "It's cool to get to go back---we're doing our best to honour requests and such, because it has been a long time." To complete the homecoming, band members Campbell, Mike Bigelow, Paul Murphy, Tim D'Eon and Jon Samuel are heading to Yarmouth this weekend---Murphy's and D'Eon's hometown---to play Nova Scotia Music Week (get there if you can). Campbell says the shows since Wintersleep released the newest album, New Inheritors, have been "electric," though an incident with a drunken, wigged man stumbling on stage in Montreal on Saturday and snapping Rah Rah's Kristina Hedlund's heirloom violin is haunting him. "But every other second of the whole tour has been just really, really amazing, comfortable and relaxing. Well, no anxiety I guess. It's not like we're not trying hard," Campbell laughs. The material from New Inheritors reassures---it was mostly written on the road while Wintersleep toured Welcome to the Night Sky, and its show worthiness is palpable with each building track. Be sure to check out Rah Rah (9pm) and The Besnard Lakes (10pm) beforehand.